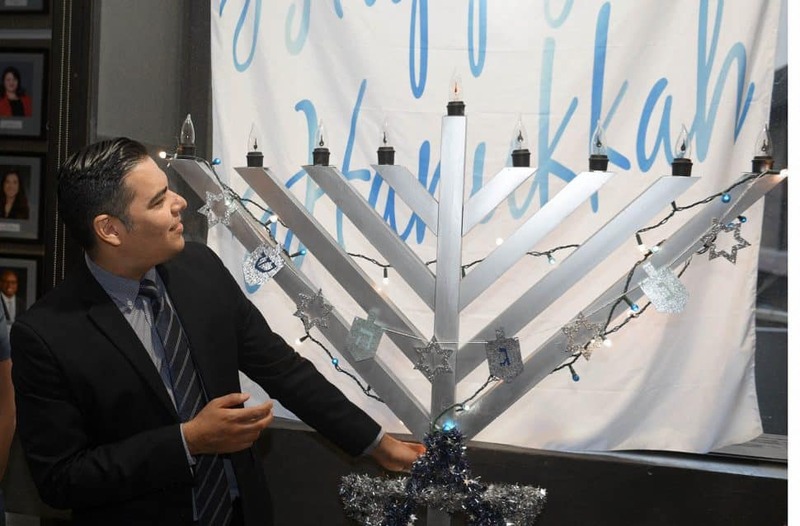 Long Beach Mayor Robert Garcia and Rabbi Binyomin Fajnland participated in a menorah lighting ceremony before Tuesday’s city council meeting. 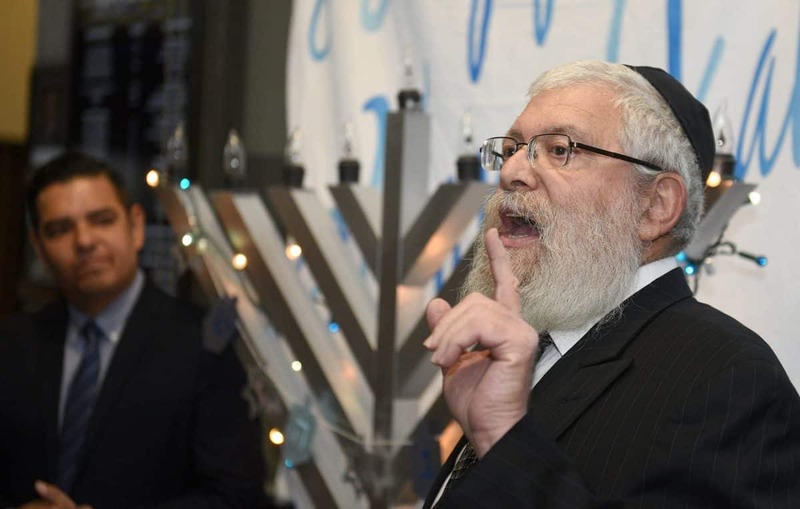 Fajnland, a rabbi at Congregation Lubavitch in Bixby Knolls, noted that Hanukkah will be especially poignant this year in light of the Pittsburgh synagogue shooting in October. 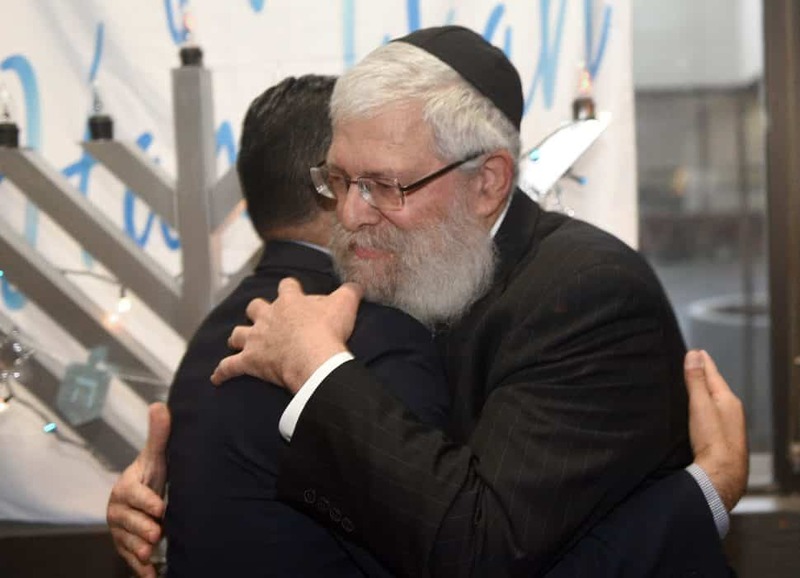 Fajnland said he was grateful for the outpouring of prayers and sympathy the congregation has received from people of all religions in Long Beach.